Travel, or at least my travels, has always been full of mishaps. Surprises that offer up a slice of life that seems to enhance the overall journey. Leaving you with an appreciation for what you have back home. I have dozens of stories where my plans for arrival in the next destination were derailed by a steadily deflating tire…sometimes it’s instantly deflated. Buses, bikes, vans, trucks, wagons, have all been involved in creating these delays. The same can be said, although on a smaller scale, about water transportation. The prime example being the slow boat down the Mekong. Sixteen hours on a wooden floor through fog so thick we almost reenacted the fate of the Titanic. If it hadn’t been for a pair of Laotian legs scrambling to redirect us we might just have ripped out the side of our vessel. With travel comes delay and eventually with that comes a sense of relaxation. There isn’t anything you can do about it so you may as well go with the flow. Almost always a story is born out of these incidents, and now a website. 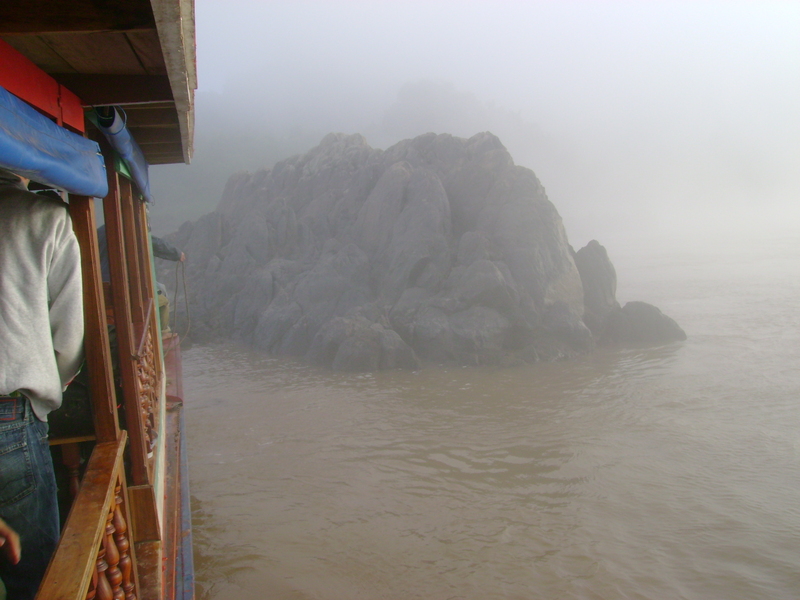 Let’s not forget how damn cold it was in that Mekong River fog! Not like in SE Asia one comes prepared for weather like that. Great Blog Mr. Tim! Very true Tomas. Strange feeling to be frozen in SE Asia.